Children of the Immaculate Heart was founded in 2013 and currently provides housing and rehabilitation for trafficked women and their children. Since they have begun working with us, these survivors have shown emotional improvements and have not returned to a life of trafficking. CIH’s program includes housing, case management, and therapy, and we partner with other organizations to provide medical and psychiatric care. It is our desire that, through God’s grace and our personal, holistic approach, these women will not only survive their trauma, but also thrive as daughters of God in the freedom found in Christ. 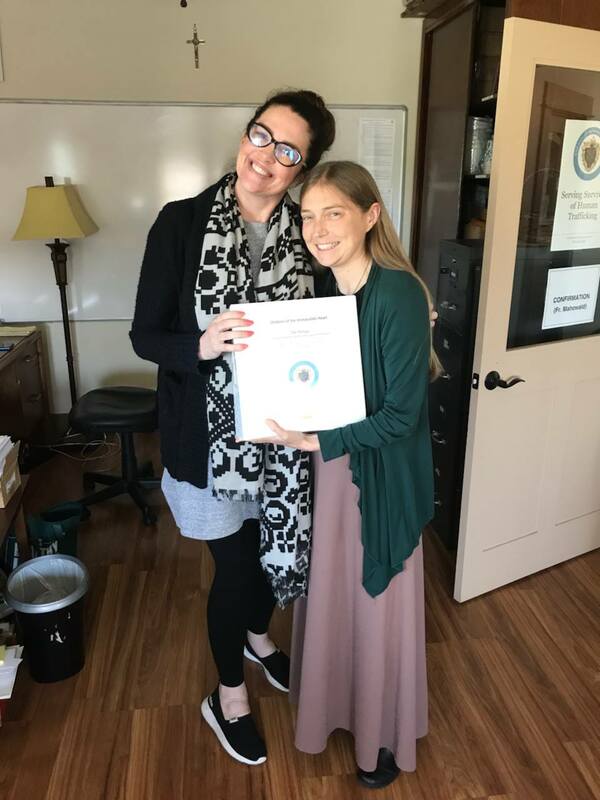 House Manager, Amy Sorensen, & CEO, Grace Williams, about to turn in the license application edits in April 2019. 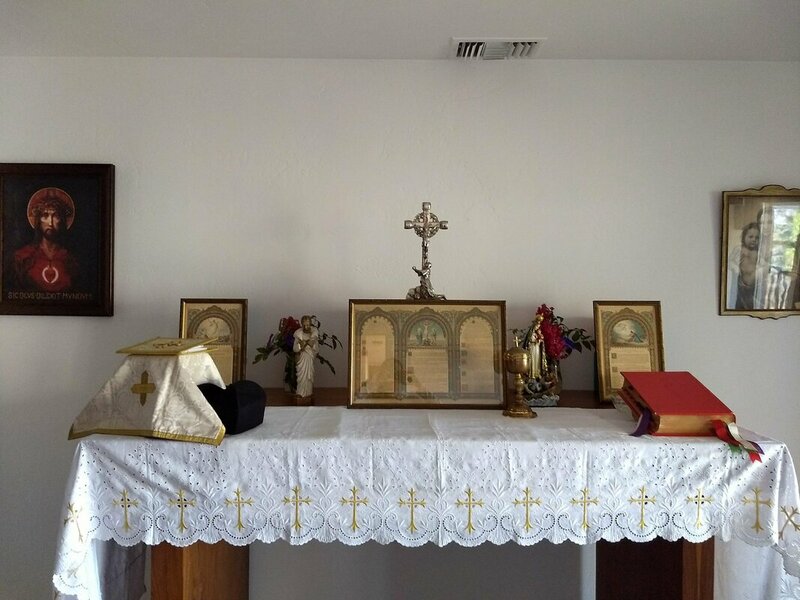 The chapel inside the minor's home that will be available 24/7 for the girls! This Spring of 2019, we plan to open a residential treatment center for minor girls who are survivors of human trafficking. It is to these minors that our hearts go out the most. If a child can be taken out of slavery, the potential for them to stay out forever is greatly increased, not to mention the years of pain that can be prevented. It is difficult to place an exact number on how many minors are in slavery in the United States, but estimates run between 200,000 and 300,000. In the past decade, the FBI alone has rescued more than 2,700 girls from trafficking and convicted 1,300 traffickers. While the San Diego Police Department does have an anti-trafficking division, San Diego County has no organization providing housing solely for minors coming out of trafficking. Many of these girls are runaways from the foster care system or have dropped out of high school. The Refuge will provide a place for girls to stay for up to two years so that they can have the best opportunity possible for healing and healthy integration into society. Schooling, job training, various types of therapy, in a healthy family-style atmosphere are all a part of the center’s program. Blessed Mother Teresa of Calcutta used to quote our Lord Jesus Christ when describing the reason for her work: “You did it to me.” We hope to live this same ideal and welcome our Savior in the person of these girls who have suffered so much: “Whoever receives one such child in my name receives me; and whoever receives me, receives not me but him who sent me” (Mark 9: 37). It is our prayer that we be Christ’s light in the life of these girls.